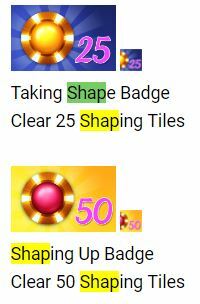 Topic: Jewel Academy "Shaping Tiles"
Does anyone know what level are the "Shaping Tiles"
Re: Jewel Academy "Shaping Tiles"
I have found that playing manually on some of the levels "outplays" some of the autos. Do have a great day...time to work on my lawn vacuum. It is a craftsman "vintage" vacuum and not OLD. Great job on update foe jewel academy. Works great@ Thank you very much.